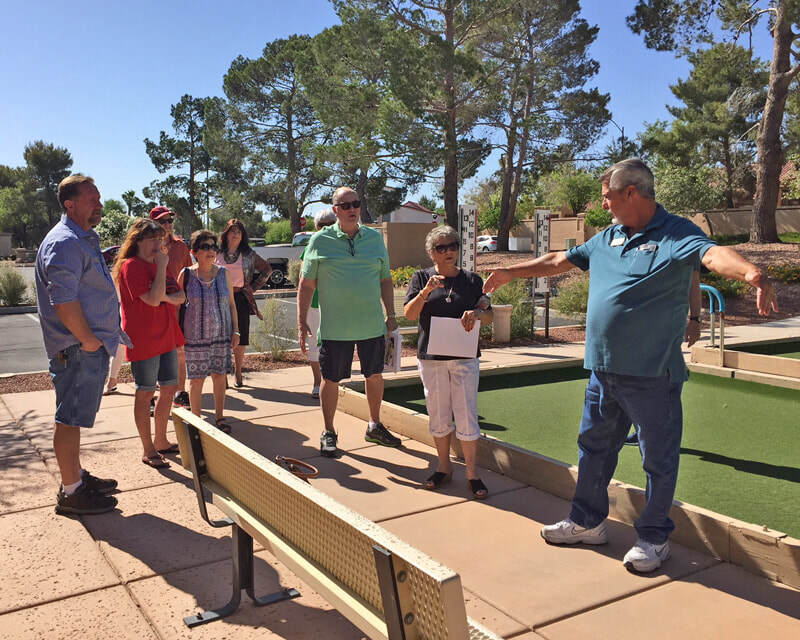 Members of the Architectural Review and Common Area Properties committees met with Bocci Club members, SCSCAI Executive Director Mitzi Mills, and SCSCAI Director of Building Maintenance Dennis McGrew and Maintenance Supervisor Brandon Balek at Sun Shadows last week to tour the bocci courts. 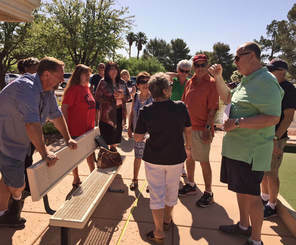 The trip was organized by ARC Chairwoman Ellen Bachman in support of her committee’s recommendation to the Board of Directors to create a shade structure for club members. The item is on today’s (June 5) BOD meeting agenda, where it is set for a vote. According to the new business item, work on the shade structure will be done in-house with the cost of materials not to exceed $3,000. If your dog is not an authorized service animal with proper training, please DO NOT try to pass it off as one. Fake service animals hurt the reputation of valid ADA service animals and the people who truly need their assistance. Photo by Jeannette Carrillo/Link.